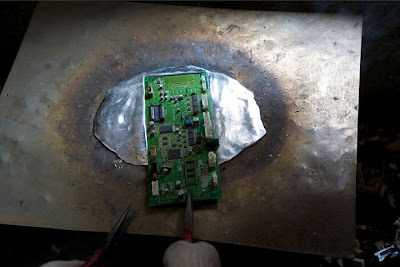 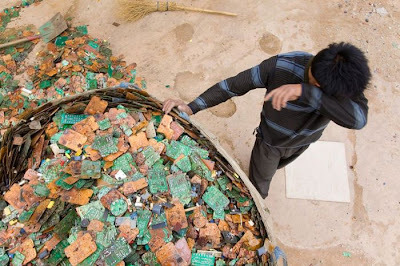 Guiyu is the largest electronic waste (e-waste) site on earth, according to Wikipedia. 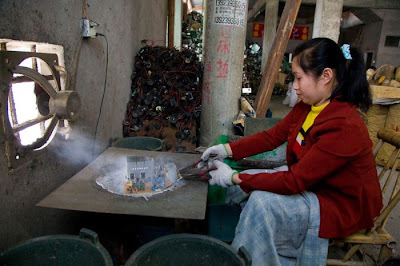 Since late 1980s a lot of e-waste from overseas has been imported to China and dismantled at Guiyu. 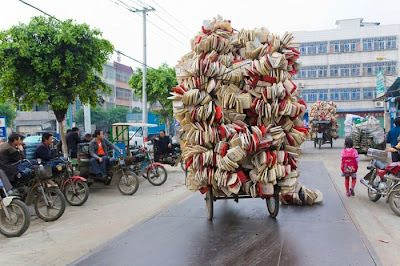 The state-run newspaper the Peoples Daily said in 2006 that Guiyus more than 5,500 e-waste business employed over 30,000 people. 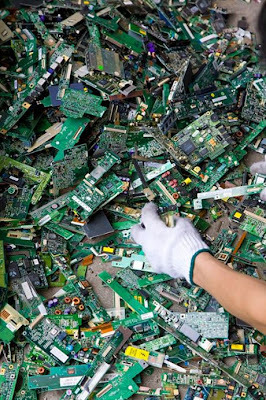 According to the local goverment Web site, city businesses process 1,5 million tons of e-waste a year, pulling in $75 million in revenue. 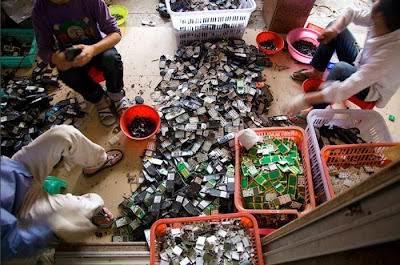 As much as 80 percent of it comes from overseas. 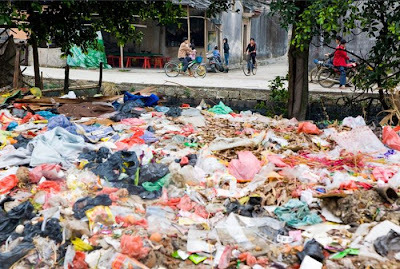 It's as much as 10 times cheaper to export the waste to developing countries for the United States, as safety rules skyrocket domestic disposal costs, says the U.S. 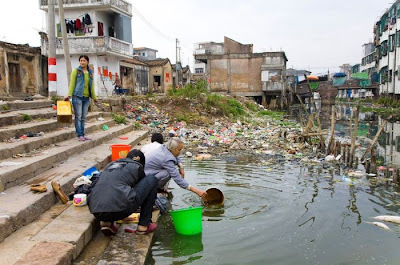 Enviromental Protection Agency. 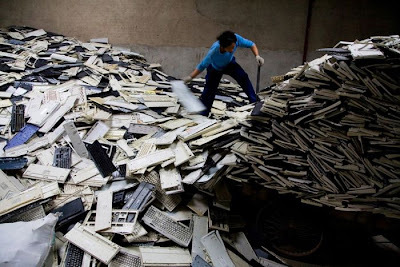 Americans scrap 400 million electronic products per year, and generated 2.6 million tons of e-waste in 2005. 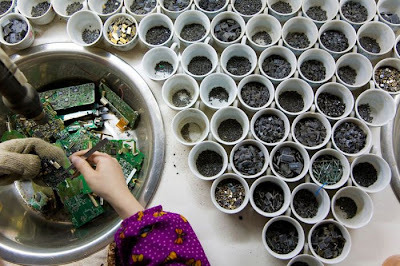 China is believed to be the predominant recipient of the world's electronic waste, with a roughly estimated one million tons of electronic waste being shipped there per year, mostly from the United States, Canada, Japan, and South Korea. 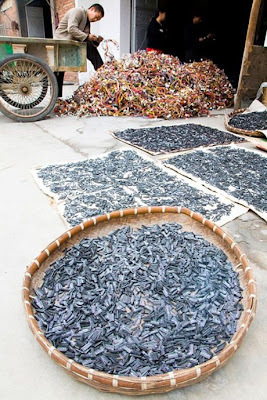 It arrives via container ships through the ports of Hong Kong or that of Pearl River Delta such as Nanhai. 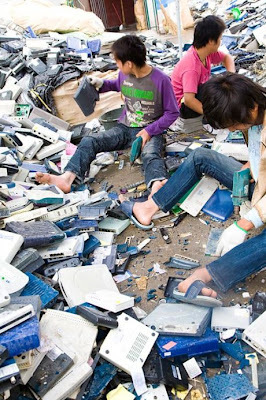 From there it is trucked to informal e-waste processing centers. 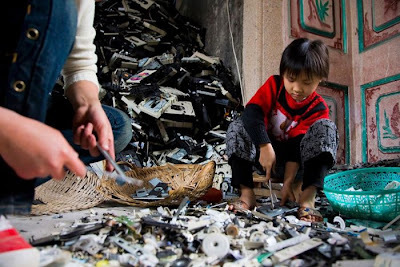 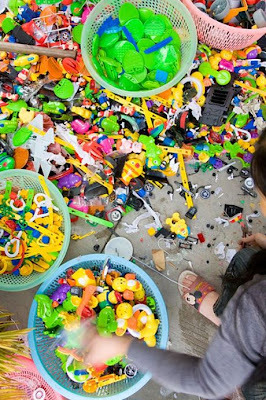 Guiyu receives more e-waste than any other area in China.